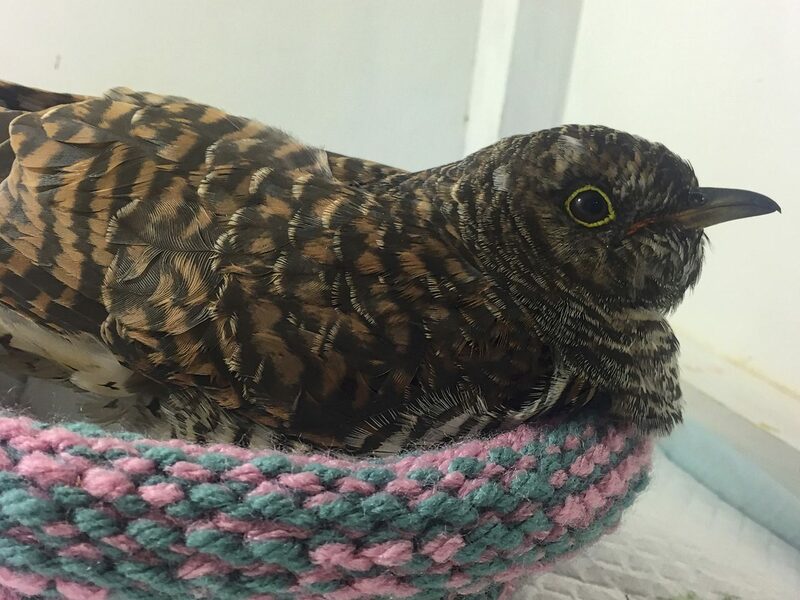 To give these bird patients the best chance of survival, they need to be immediately secured and collected to get them out of the danger zone and to avoid that the injured animal can escape and goes into hiding. However, before you make a rescue attempt, think of your own safety first and do not put yourself in danger. If the rescue is too dangerous, then call for help and wait near the animal until an experienced rescuer arrives. Do only proceed when the situation is safe. Birds of prey, larger corvid species, herons and some seabirds like gannets should not be handled by unexperienced rescuers, as they can potentially inflict severe injuries. It is not so much the beak one should be concerned of, unless one has to deal with a gannet or heron. It is usually the talons, which need to be kept safely under control. In these cases it might be safer to secure the area around the injured bird, and to call and wait for expert help. 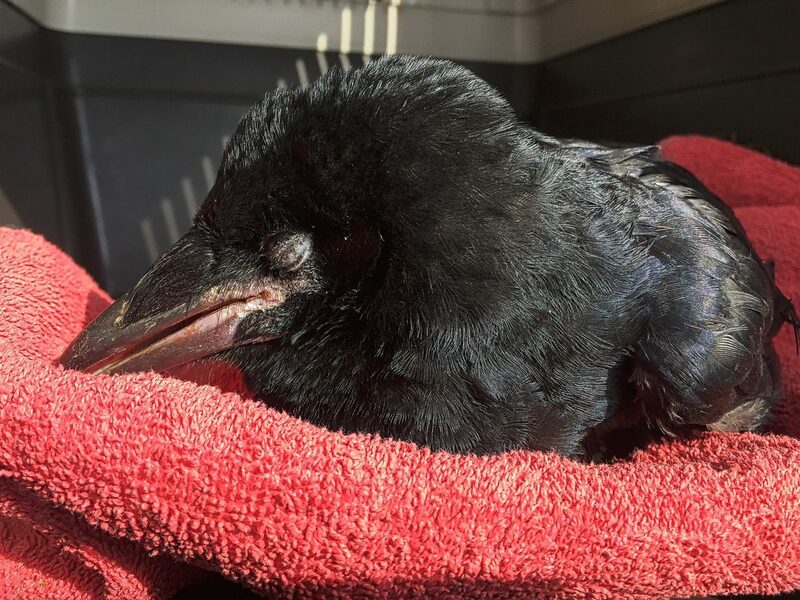 If the injured bird can be safely caught, then the animal should be placed in a well padded and ventilated card board box or secure animal carrier. 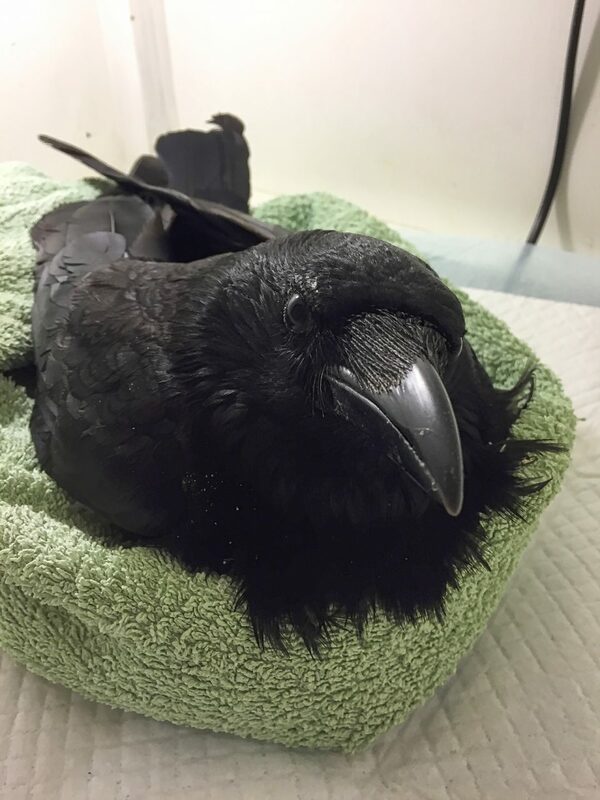 Most birds having suffered an impact trauma can be simply scooped up with both hands. Handling must be firm but gentle, as careless handling may cause further injuries. 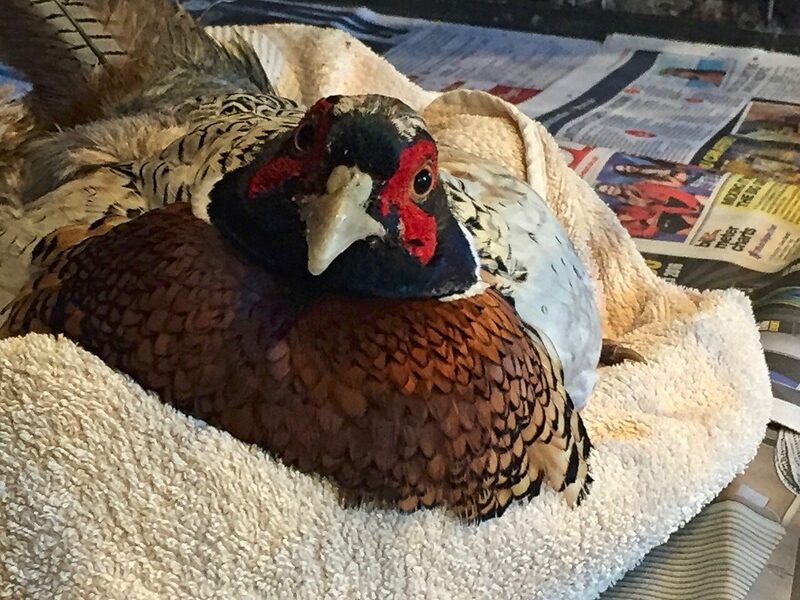 A towel might become useful for larger birds and can be thrown over the animal, which will help to secure the bird. The well ventilated container should be securely covered and placed in a quit and warm room with temperatures of just above 20 degrees Celsius. 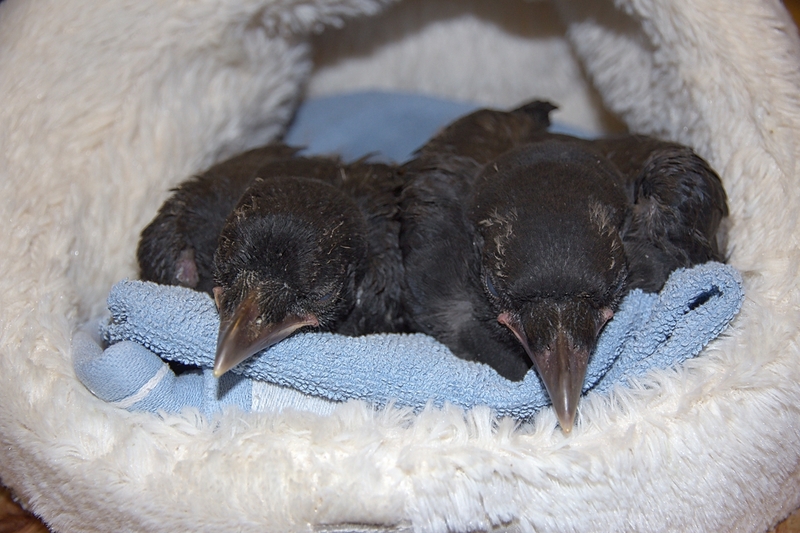 Inactive birds will become quickly hypothermic, in particular when they are in shock. The provision of additional heat sources such as heat pads or water bottles is not recommended and in fact contraindicated, as raised temperatures will lead to an increase of the most likely present brain swelling or oedema potentially resulting into raised intracranial pressure, recurrent bleeding and death. When putting the bird into the padded carrier, it is advised to ‘build’ a nest by using a towel roll and placing the bird into the centre. The bird should be placed in an upright position with legs being in a physiological folded position underneath the body. The head should be supported and ideally placed slightly elevated onto the rim of the towel nest. This will secure the animal whilst being transported and minimise the risk of aspiration of saliva or blood. The bird must not be fed or given any water, as there is a high risk of aspiration and suffocation. No water dish should be placed into the carrier, as there is an increased risk of drowning and hypothermia. Absolute silence and a darkened environment are crucial and will increase the chances of survival. 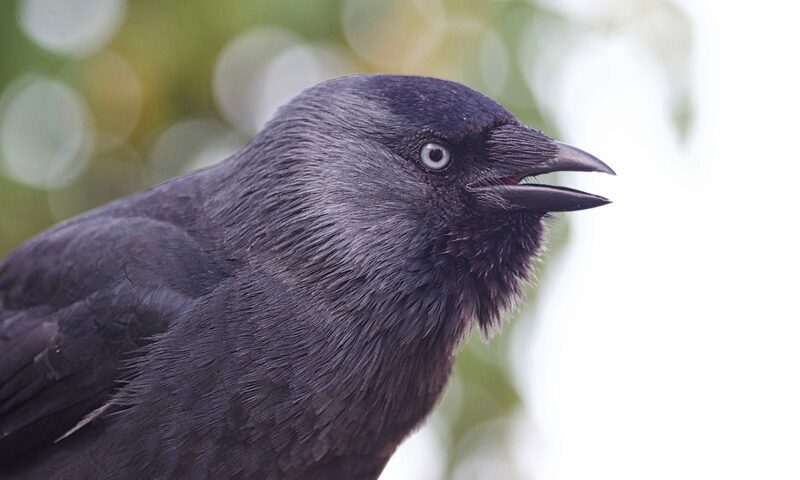 After the bird is secured, safe and stabilised, it is recommended to contact an experienced local bird or wildlife rescue to obtain further expert advice and to organise the next steps of recovery and rehabilitation.